T-Mobile may not be the best cell carrier from a coverage perspective, but it provides its users with a lot of value. The company and its foul-mouthed CEO, John Legere, often use outside-the-box thinking to disrupt the mobile phone industry. For instance, the company once gave free Domino's pizza to its customers through its "T-Mobile Tuesdays" scheme. Even without the added bonuses, its unlimited service is quite affordable compared to, say, Verizon. Today, T-Mobile is once again giving away something for free, but it is much better than some cheap chain-restaurant pizza. You see, subscribers to its T-Mobile ONE family plans will now get free Netflix! This is well-timed, as the hit series "Stranger Things" returns to the streaming video site next month with season two. Of course, Netflix has much more content than that -- a solid library of original programming and a less-impressive collection of ho-hum films. The complimentary "Netflix On Us" subscription is not automatic, however -- users must activate it. "Because this is the Un-carrier, getting Netflix On Us couldn't be simpler. Starting Tuesday, September 12th, qualifying T-Mobile ONE customers can activate their Netflix subscription online, in-store or by calling T-Mobile's award winning customer care. And, if you already have a Netflix subscription, T-Mobile will cover the cost of a standard subscription for you -- meaning you'll save nearly $120 every year," says T-Mobile. The carrier further says, "To qualify, all you need are two or more paid voice lines on T-Mobile ONE with taxes and fees included. Even customers with free lines from the Un-carrier’s wildly popular recent "line-on-us" deals qualify. Customers on Unlimited 55+ or 2 lines for $100 can get Netflix On Us simply by switching to the latest T-Mobile ONE plan." T-Mobile isn't entirely original with this Netflix giveaway -- AT&T is giving free HBO access to customers with its Unlimited Plus plan. Also, there is a fairly big catch -- T-Mobile limits smartphone video streaming to 480p. To be honest however, that isn't such a big deal on a small screen. 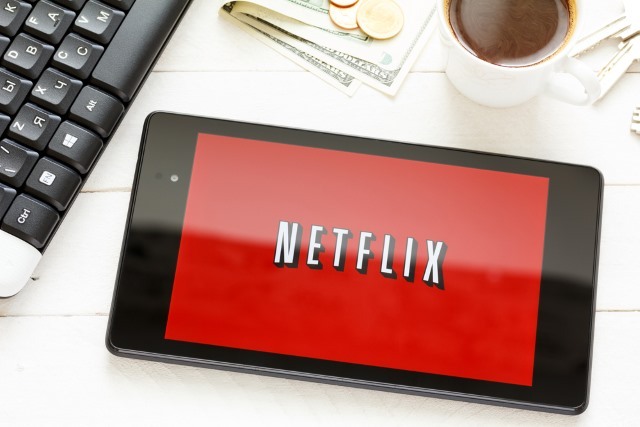 You can of course watch Netflix in full-quality using your home internet. If you are an existing T-Mobile ONE customer, are you excited for this free Netflix offering? If you aren't a T-Mobile subscriber, will this make you switch? Tell me in the comments below.